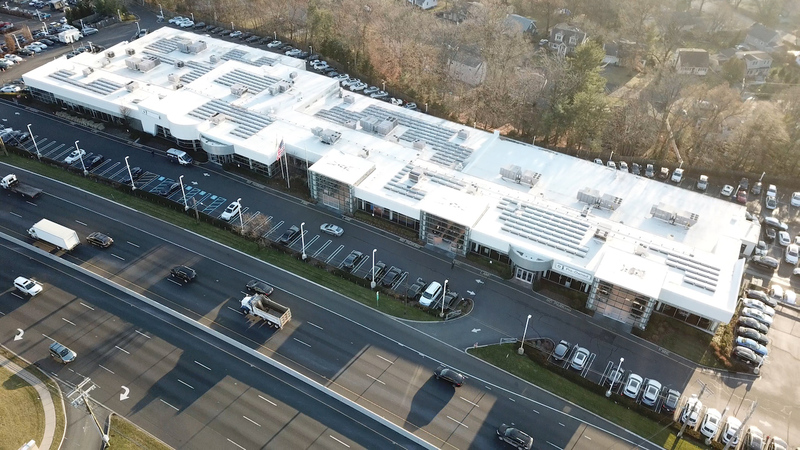 2019 Cox Automotive Leader in Sustainability Award Winner - Cox Automotive Inc.
BMW of Ramsey, a Lithia Motors dealership in Ramsey, New Jersey, has proven that sustainable business practices can appeal to the growing number of environmentally conscious consumers, save substantial energy costs, and help the planet – all at the same time. Members of Cox Automotive’s Go Green Council and Corporate Responsibility Council helped select BMW of Ramsey after reviewing an impressive pool of entrants. The winning dealership has invested in energy efficient alternatives, like an energy recovering ventilation system, LED lighting retrofits, and solar energy for its massive 100,000 square foot facility. These solutions provide dramatic cost savings while lowering the dealership’s carbon footprint. BMW of Ramsey also has an Electric Vehicle Charging Station for the community to use, even during off hours. Management and staff also encourage local residents to recycle, with bins conveniently located throughout the property. Coupled with the service department initiatives to recycle car wash water, rotors, tires, and batteries, the drive for eco-friendliness is pervasive throughout BMW of Ramsey’s operations and corporate culture. Learn more about the criteria for the prestigious Cox Automotive Leader in Sustainability award.